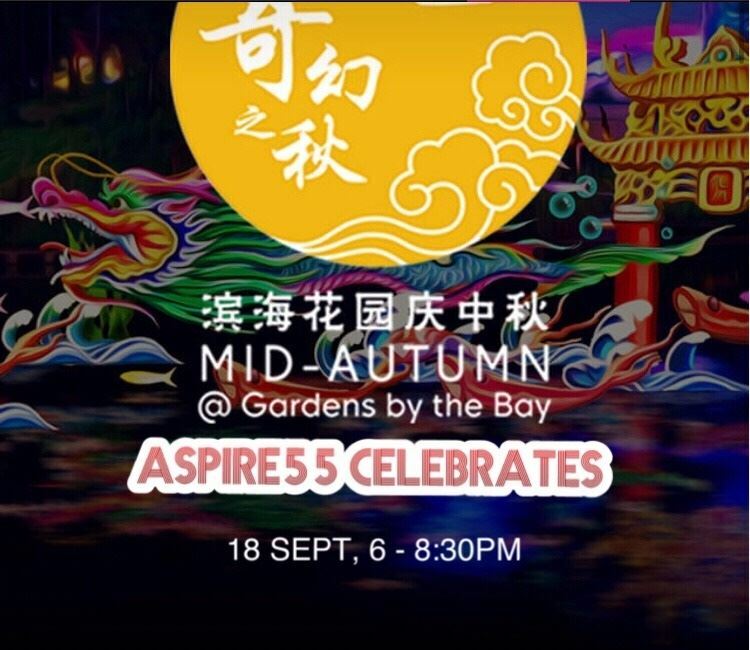 Join ASPIRE55 in our first Mid Autumn Walk to Gardens by Bay Festivities with Janice, Founder, ASPIRE55. This is a fun event, free and open to ASPIRE55 Gold Members and guests! If you have friends who might be interested to meet us or find out more about what ASPIRE55 does, you are welcome to invite them on this walk too. You are welcome to wear the ASPIRE55 round neck t-shirt if you like.